Home News railways-news rrb-alp-technician RRB Notice Regarding RRB ALP Technician CEN 01/2018 Examination. RRB Notice Regarding RRB ALP Technician CEN 01/2018 Examination. 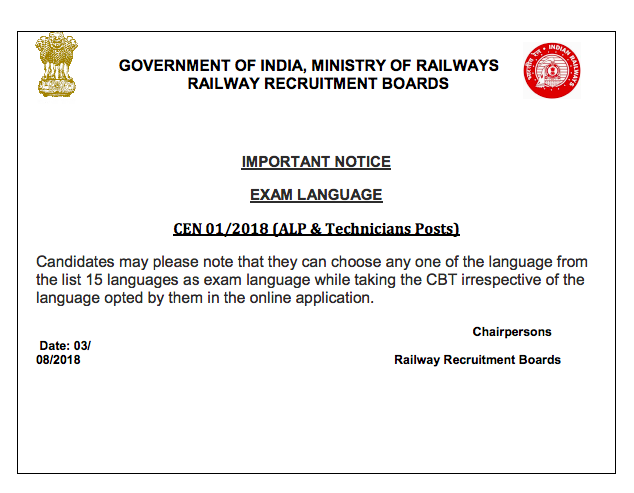 Click Here to Download RRB Notice Regarding RRB ALP Technician CEN 01/2018 Examination.